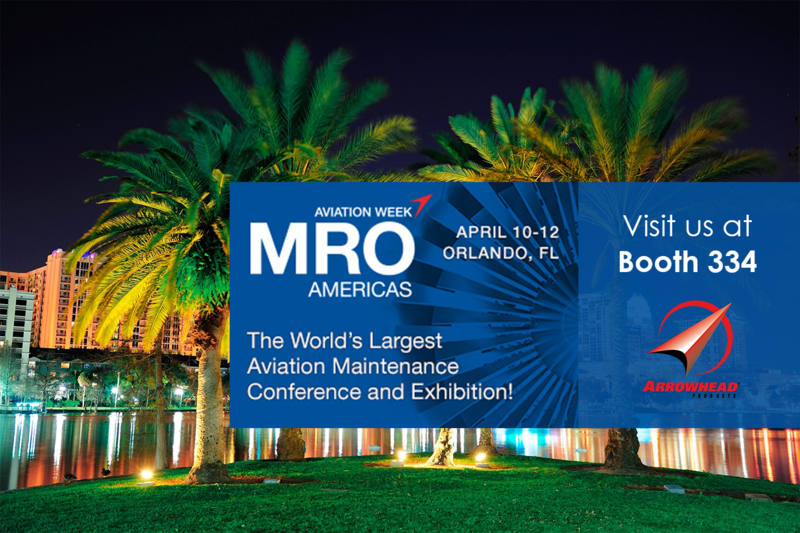 Visit us at MRO Americas in Orlando, FL on April 10-12, Booth #334. Arrowhead Products’ VP of Sales & Marketing, Terry Weed, and our Sales & Marketing Manager for Aftermarket, Dave Schmidtman will be there to answer your questions and discuss how our Aftermarket Spares & Repairs capabilities can benefit your organization. To set up a meeting appointment, please contact ale@arrowheadproducts.net. See you there!